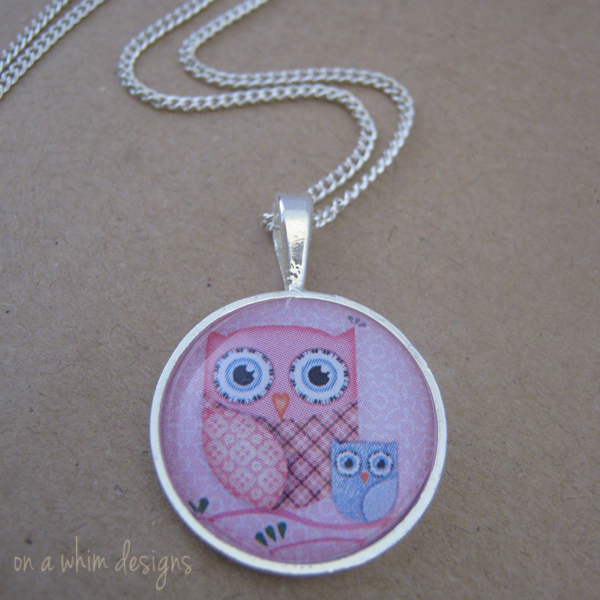 This sweet pendant features a design of a pink mother owl and a purple baby owl sitting on a branch on a patterned pink background. The image has been printed on quality paper and has then been sealed under a 25mm domed glass cabochon and set in a silver setting (silver plated over brass - lead and nickel free). Necklace is supplied with a matching chain. 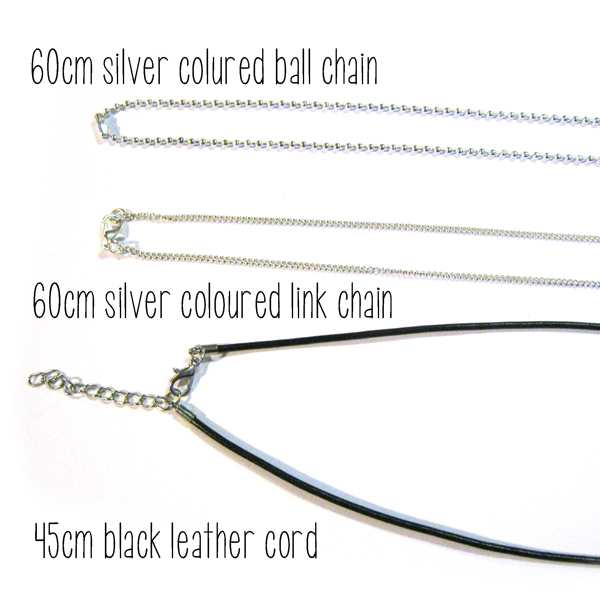 Please check photos to choose your chain preference - 60cm silver coloured ball chain, 60cm silver coloured link chain or 45cm black leather cord. Please note your preference in the notes to seller during checkout. If no preference is listed I will send as per the main image. Please note items are NOT waterproof. Please do not wear swimming or bathing.